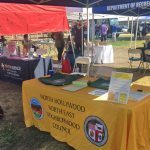 EAST VALLEY – Early October 2017, Councilmember Krekorian secured $600,000 to help New Directions for Youth, a North Hollywood-based non-profit, build a new health and recreation center in Council District 2. The funding, included in the 2017-2018 Consolidated Plan budget, will help this community organization deliver even more programs and services to at-risk youth and their families. New Directions for Youth is a youth development organization that provides direct services and programs to at-risk youth throughout the San Fernando Valley and the greater Los Angeles area. Some of its programs include computer classes, literacy training, gang prevention, career education and guidance, graffiti removal, crisis intervention, substance abuse prevention, parenting classes, leadership camping and summer day camp. Since its founding in 1976, New Directions has provided free services to more than 90,000 people in our communities. If you would like to support New Directions for Youth, please visit their website: http://ndfy.org. New Directions for Youth is located at 7315 Lankershim Blvd, North Hollywood, CA 91605.